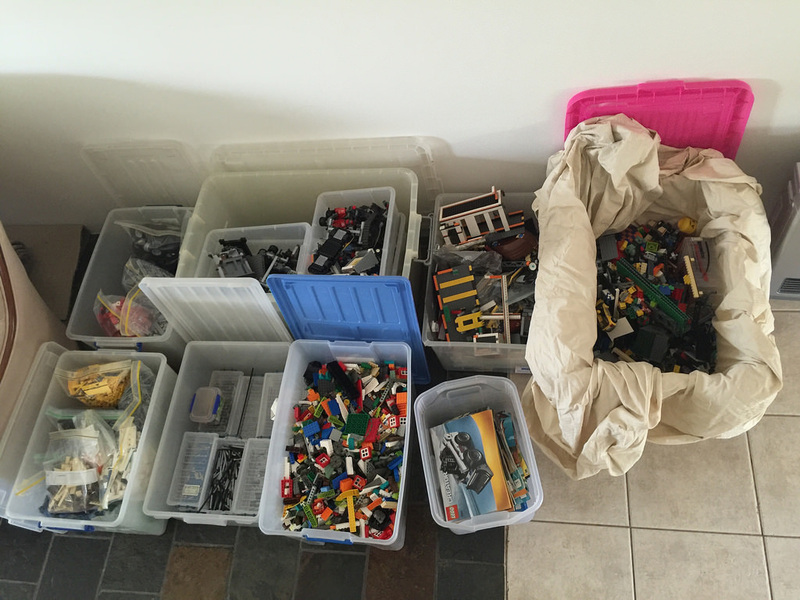 ​As I mentioned last Monday, a week and a bit ago, I noticed a post on the Perth LUG Facebook page asking if someone would be keen to sort through a bulk lot of LEGO, with payment being cash, LEGO or booze. Being one of those AFOLs that finds sorting LEGO as relaxing, I jumped at the chance. I sent the guy a text and picked up the bulk that day. After it was in the house (and my wife and I got over the initial shock of the sheer amount of it! ), we got stuck into taking a look at what we had. We spread out the boxes and opened them all up in the room we’d be using as a sorting room. Not only did we find a lot of LEGO, but there were already pre-sorted bags of colours that would help us out a lot, as well as Technic parts separated out. There was also a whole lot of sets that looked like they had already been half put together, but didn’t get finished, as well as a whole pile of sealed original LEGO bags. 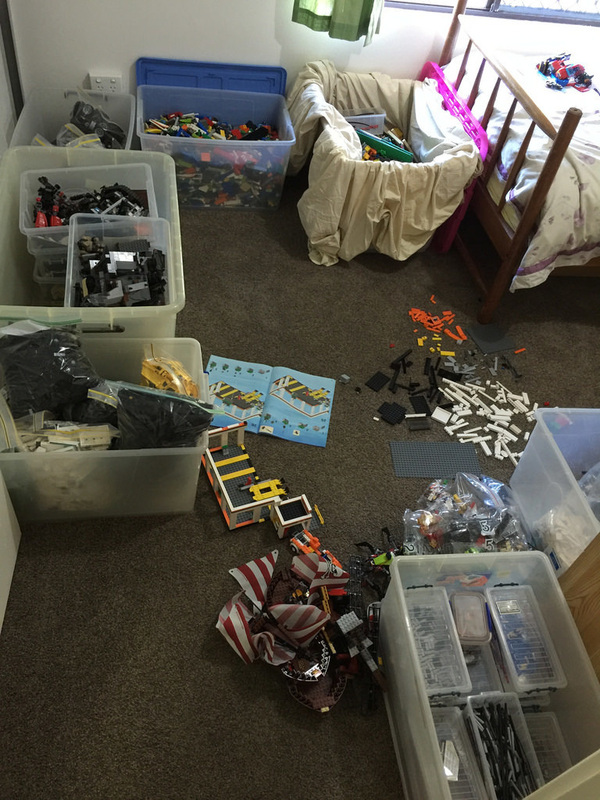 Being super excited to get going, and seeing at the sheer amount of unsorted LEGO, we decided to try our luck with doing two things at once. My wife started sorting, and I started rebuilding. It works pretty well, and as I sort, I pull out the pieces I need and take them off the list. With these posts I intend to write a very quick review of the completed set (compromising only the rating part), and I’ll also highlight some of the interesting parts I’ve found, and what my guess is they’re from, based on the set list I have. There are over 80 sets to build, so it’s going to be fun! It will also bulk out the Reviews list I have with some more old stuff, so it will become more balanced. 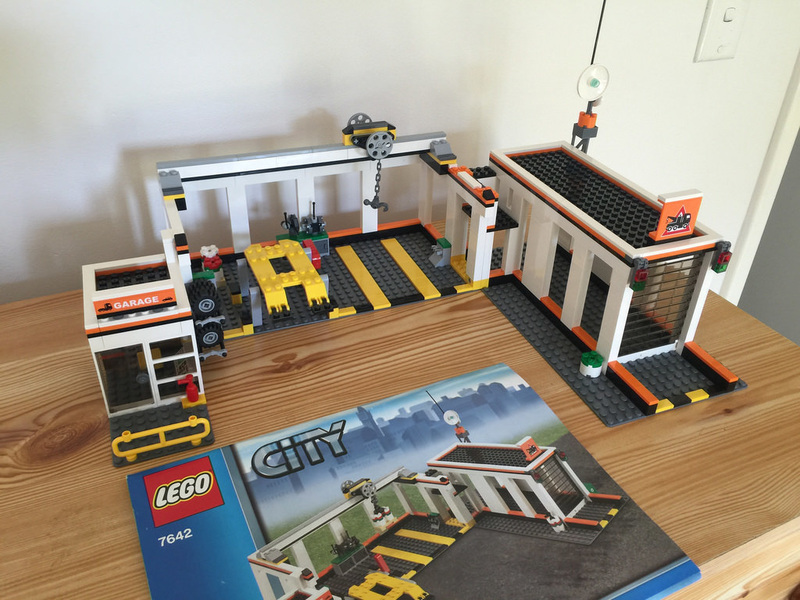 I’m not going to do a review for 7642: Garage yet, as I haven’t finished all the instructions. That will come eventually. ​The next set I built was one I was super excited about, and a first for me! 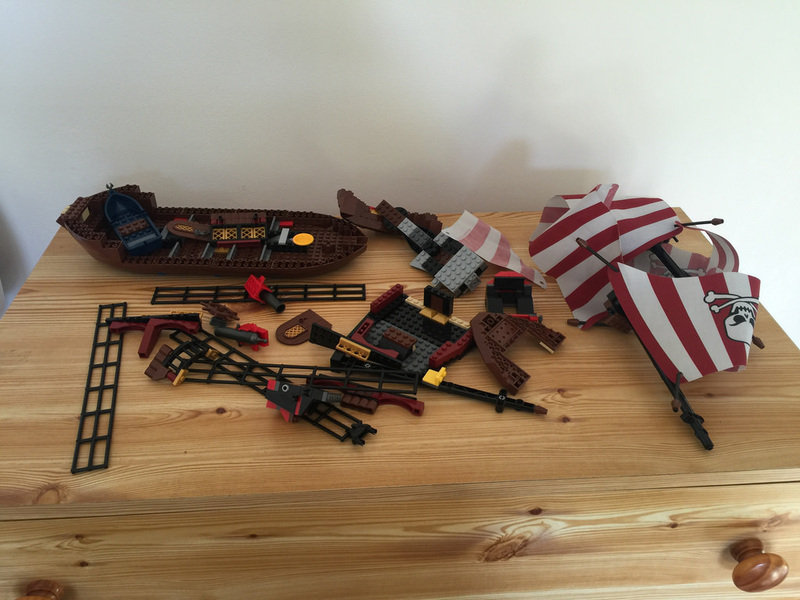 It was 6243: Brickbeard’s Bounty from the 2009 Pirates range. 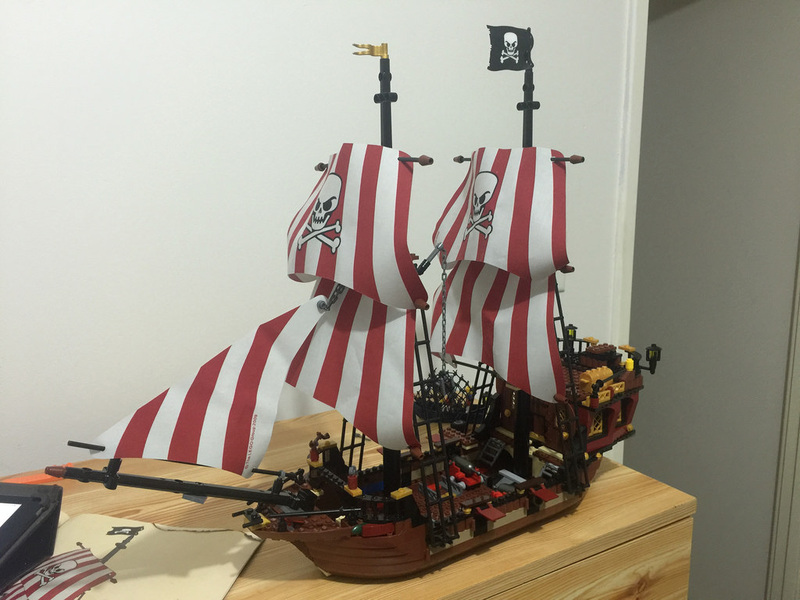 I’d never built a pirate ship before, so this was a dream come true to me! It looked pretty bad when I first saw it, but it’s much better now. It’s a shame I have to give it back, because it looks pretty awesome on my shelves! It’s ok though, as for my birthday this week, my awesome wife bought me 70413: The Brick Bounty – stay tuned for a review in the new year! Ok, on to a quick review – I’ll cover the minifigures in an edit of this post when I find them. The elements in this set are varied, and have some good colours. The sails are bright, there are some nice gold elements, as well as reddish brown, dark red, and black. If you bought this set when it was new, then you would find a whole lot of brand new elements. This variant of shark is rare – it looks great with different coloured teeth, and a menacing appearance. The minifigures are also pretty great, with a mermaid included that’s the figurehead of the ship. There are so many great elements to list, it’s hard to pick them, but with the rigging, the net, and other decorations, this is a set that should not be missed. This is a definite. Regardless of how old you are, this set just begs to be played with. Whether it is ‘sailing’ it around the living room floor, or making a Bluecoat walk the plank, this set is very swooshable. It probably won’t surprise anyone that it is LEGO, but it is still a cracker of a play set. As far as play goes, there’s a good amount – the rigging and cannons are great for climbing minifigures around, the cannons fire and can be moved, the captain’s cabin is accessible, and the net in the middle can be raised and lowered (somewhat clunkily, but still good). The build is interesting – it’s a deceptively large ship. When the hull is created, you know it’s going to be a good size, but once the cabin is added, you get a bit of an idea. The big reveal is when the masts are added. That’s when you realise it’s a big ship. Certainly not the biggest LEGO’s done, but for a first-timer like me, it was excellent. I was a very excited AFOL! Much of it is one brick on top of another, but it is good adding the sails. The way the sails are held on is a little strange, with brown 1×1 cones stuck on the end. It’s not as nice as the 2015 ship, but it’s manageable. The roof of the cabin is also quite tough to get off. I ended up having to stick my finger through the door to push it up. It is a strong build though, and can handle a bit of rough play. All I can say is magnificent. It looks a treat, with big, bright sails, and some very nice detailing. It would certainly look imposing in the water as a real life counterpart, and is a big drawcard on my display shelves, even though it’s there temporarily. The only thing I would add is two more cannons, so the whole run is complete, and the plank would be moved to the middle of the ship as it’s in a very strange spot – hidden at the back, but it still looks pretty great – the cannons can be added later on down the track if you have spares, and the plank can easily be moved. Obviously, if you’re a fan of the Pirates theme, or the ships in general, this is a must, as it looks incredible in any collection. Value for money is of course higher than when originally released (it came to the market at AUD$139.99, and is now hovering at around the $250 mark, and increasing every year. It’s a pretty big price for a set, but you get some very good parts, and there really aren’t that many LEGO ships around. If you find it, get it. Ok, on to a couple of the elements I’ve found! There have been some really interesting ones. There will be more to come next week. 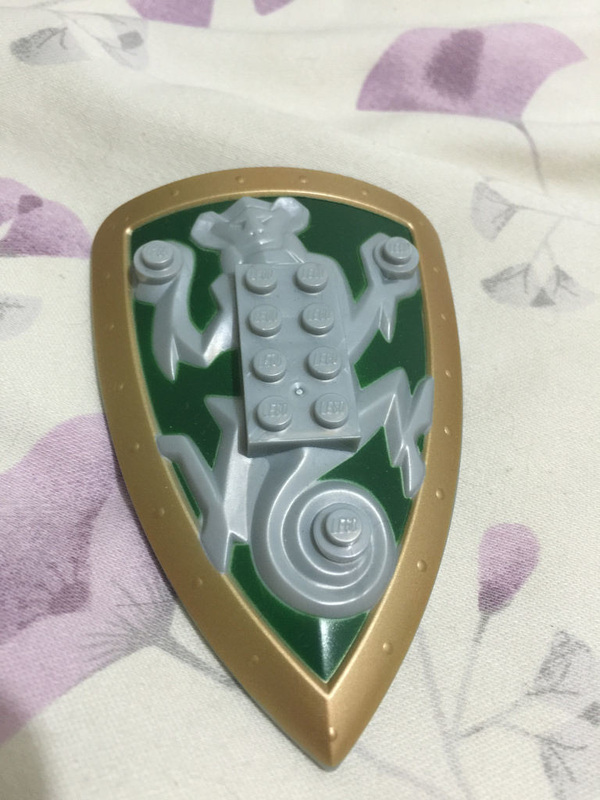 50656 – this is the shield of Sir Rascus of the LEGO Knights’ Kingdom II. These figurines are similar to the recent Star Wars ones that have just been released, as well as the Bionicle range. I’ve found a few other parts of him too, so hopefully I’ll be able to build him! 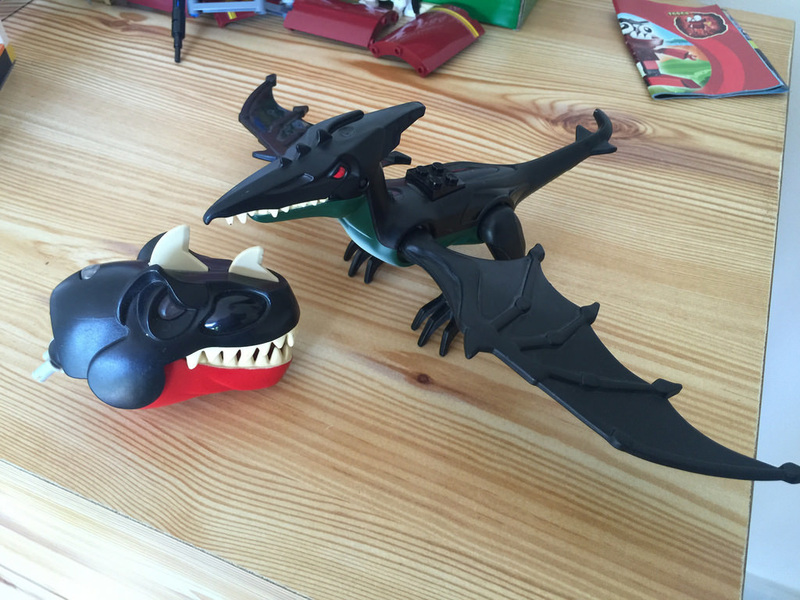 After looking into it, this subtheme of Castle was weird, as it not only had minifigure sized sets, but also these Bionicle-like sets that were of the same characters. Sir Rascus was the green bloke, with the monkey crest. We’ll see what happens with the rest of him! Dino 2010/Dino Attack Dinos: The pteranodon is complete, with the T-Rex only having a head and right leg so far. If the clear button on on the back of the T-Rex’s head is pressed, his eyes glow red! These guys are from a limited release range that was only in the US, Australia, and Europe. Dino 2010 was Europe, with the humans trying to capture the dinosaurs, whereas Dino Attack was the US and Aussie version, with the humans equipped not with nets, but with huge guns – trying to obliterate the dinos! I’m not sure what version is here, or if the set is complete, but I certainly hope so! Ok, that’s it for this week. I’ll be sorting next week as I’ve been temporarily kicked out of the spare room while guests are with us. Stay tuned for more interesting finds, and hopefully a review of something!